Rahimatpur is a small town in the Satara district of Maharashtra. It's so small, in fact, that if you blink rapidly because some sand has gotten into your eyes, you're likely to miss the whole place altogether, get confused looking at your tulip notes and also incur the wrath of the driver you are navigating for because you're still on a competitive stage of a rally. Back in 2011, the rally in question was the Mahindra Adventure Monsoon Challenge (one of two TSD rallies that they organise, the other being the Spice Challenge) and I was at my wits' end for it appeared that I'd taken a little too seriously Mahindra Adventure's slogan. Get lost indeed! But those three days of poring over tulip notes, calculating average speeds and calling out directions taught me a thing or two about adventure. You see, we'd traveled over hill and dale, across dry stream bed, the occasional railway crossing, through village, town, city and some startlingly barren land - it was exhausting. But every morning, no matter how early we set out, there was a rather happy team bidding us farewell, and every night, even as the last car came in, the Adventure team was there to greet participants. 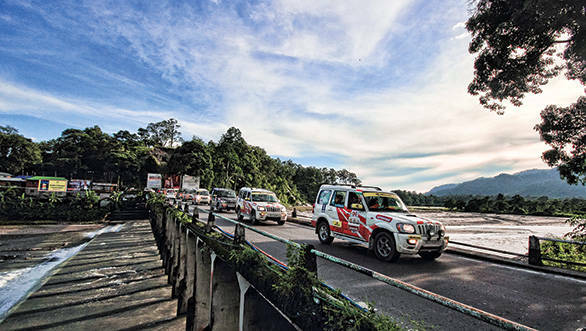 Along the way, almost all the members of the team opted against taking the usual highway route to get to the day's destination, choosing instead to power through the rally stages just like the competitors. 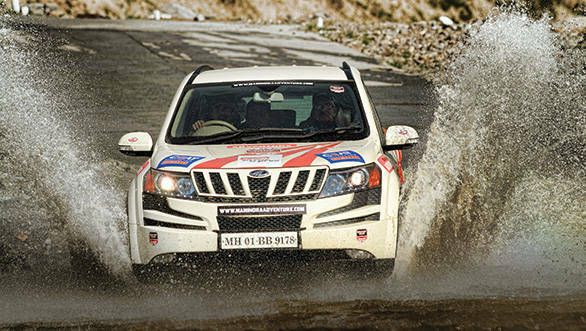 Team Mahindra Adventure, it appeared, was in it for the joy of motoring, off roading and rallying itself. Selling cars, was then, just a part of it. It was back in 1996 that Mahindra & Mahindra organised a non-competitive off road rally that they called The Great Escape. Soon they were organising more and more of these Escapes, with the total number of events having crossed the 100 mark sometime this year. What made these events so successful then? It wasn't just the vehicles (capable though they may have been). Neither was it just the terrain that they took them through. Nor was it the people involved in organising the event - all avid off roaders and dune bashers in their own right. It was a combination of the three that worked. It also was a great way to showcase to their customers, as well as the world in general, what their machines were capable of. It's no surprise, then, that Mahindra Adventure was launched as an independent entity in charge of their er... adventurous activities, in 2011. 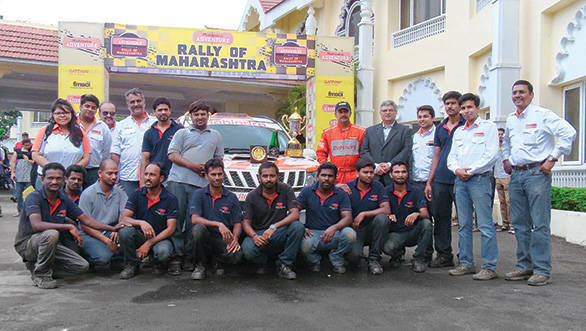 Headed by Bijoy Kumar Y, Chief of Adventure Initiatives, this team of motoring enthusiasts were put in charge of ensuring Mahindra's motorsport activities were taken to the next level. And what better way to do that, than to go rallying. 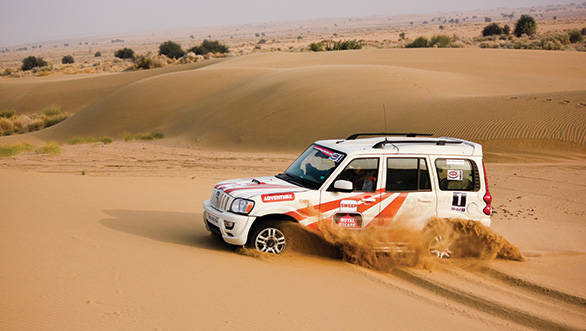 Mahindra Adventure first started out by competing in TSD rallies like the Dakshin Dare. Then, they moved to organising these rallies - if you owned a Mahindra, you could compete in an event that was challenging but not necessarily brutal on your machine. But, for a maker of SUVs whose USP was being tough and rugged, TSD rallying wasn't quite extreme enough - the Indian National Rally Championship was where it was at. "It was an extension of our other activities," Kumar says "We could prove that cars like the XUV weren't just good looking, but they were also performance oriented." So, what did they do? They took the regular XUV, made it shed around 250kg, added a rollcage, rally suspension and called it the SuperXUV. When done, they strapped drivers like Gaurav Gill, Sunny Sidhu and Lohitt Urs into the car and set it loose on rally stages across the country. And after the first two rallies in the Indian National Rally Championship, the other cars are running scared. "We realised we're getting pretty good at it," he declares. But all this rallying and off roading has a much bigger goal to it. A goal that moves beyond proving their worth on the domestic scene. So, what would a company that is out to prove that they build the best off roaders and the toughest SUVs in the world want to conquer? The Dakar Rally of course - the ultimate and most gruelling off road endurance rally in the world. And that appears to be Mahindra Adventure's next aim. We can't wait!